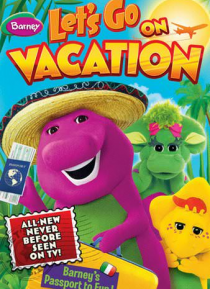 Pack your bags and join this loving purple dinosaur for a vacation filled with musical adventure and a whole new world of fun! From exotic new foods to exciting new friends, the trip turns into a singing and dancing celebration of the differences and similarities between cultures. And the gang quickly learns that the things that matter most-like family and friends-are the same the world over. Don'… t miss a magical minute!